contests indiblogger Youths of India, Vote for India! one should know that you have only one chance to give your nation a better leader. This leader would be a part of this democratic constitution who would bring change in this country. But sadly the youth of our nations seem to be active in raising their voices and concerns but not when it comes to action. I have always said before that action speaks louder than words. One should Act first and translate all their words into actions. higher than that in India. In the 2009 General Elections, I had received umpteen texts from several Political parties to vote for their candidates in a particular constituency. So how do we explore social mobile applications to serve our purpose. After thorough analysis I could jump to a conclusion that a majority of youths use Internet these days. The average Internet, Mobile phone usage is more and there are many of them are college going and Professionals in their 20's and early 30's. They can be reached via this social media medium. Our youth need to be educated on different aspects and an awareness should be created on how not voting would hurt the nation. These social mobile applications provide several fascinating features. These features provide the users with several options.They should give the user different facts and statistics about voting. Awareness can be created in form of one liner ads in Facebook, Twitter and other social mobile applications highlighting and emphasizing the need to vote. National and Regional political parties should set up their groups in popular social networking sites where interested people could be given details about the different candidates in a particular constituency representing their party. A well defined agenda should be in place in such groups which will describe the candidates achievements and what all promises they would deliver. Group messages, Chatrooms, Broadcast messages and several other options available. There are There are large number of youth actively taking part in various brand contests in several twitter contests. One could host contests on such media asking people to vote and all those who vote could be given prizes or something similar to this could be thought of. responsibility when it comes to electing the leader. 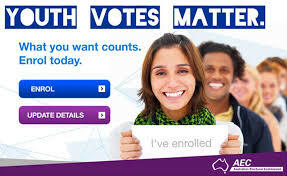 The youth population should act and come in great numbers on the voting day. Youth are the powerhouse of every booming economy and the country depends on them. So,#voteforIndia, elect the right leader. To all the youths reading this post, kindly go out in numbers and vote for India in the 2014 General Elections.